Experts agree that BG can save you money at the pump! Orr Automotive recommends BG 44K® to restore mileage, boost performance and reduce emissions. In fact, dealerships nationwide use BG 44K® nearly 3 to 1 over any other product. 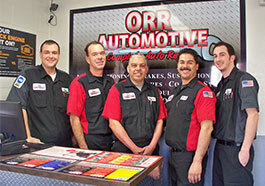 Call Orr Automotive today to schedule an appointment.